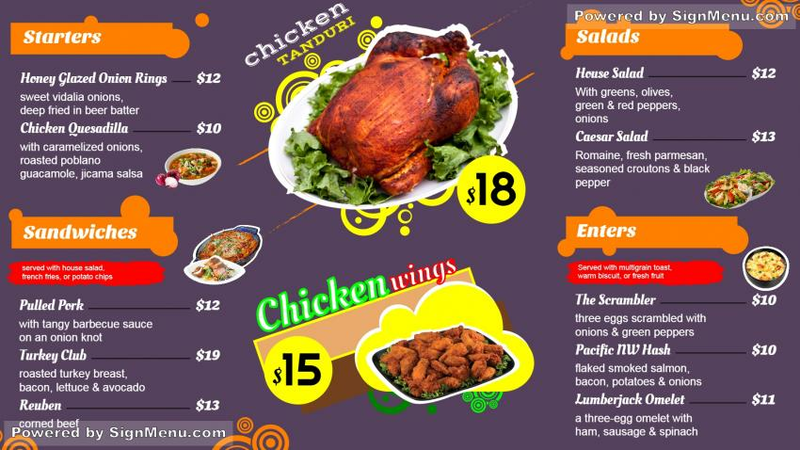 this template is best presented on a digital menu board placed either just in front, or indoors of the restaurant. Since the restaurant has varied offerings , the restaurateur would do well to engage actively with its customers and listen to their suggestions, tastes, preferences and feedback. All these will assist the business in updating their menu board and promoting the most-in-demand items. This template is ready for use and download.